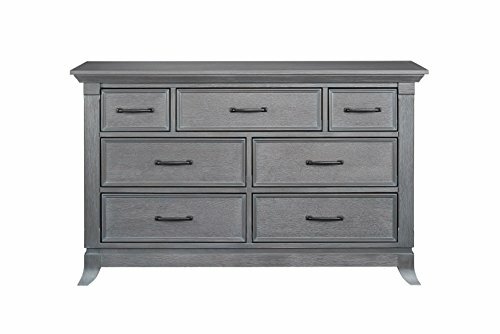 The Hamilton collection's 7 drawer dresser has tall, deep drawers providing lots of storage space. The dresser drawers have under mount soft closing glides with English dovetail construction. All the top drawers have felt lined inner drawer bottoms. The dresser has an optional baby changer topper. Changing topper is sold separately.